HOUSTON - The United States is considering financial sanctions on Venezuela that would halt dollar payments for the country’s oil, according to a senior White House official and an adviser with direct knowledge of the discussions. 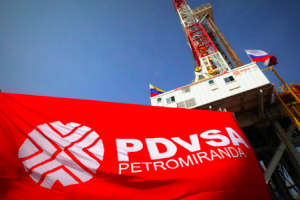 Sanctions prohibiting any transaction in U.S. currency by Venezuela’s state-run oil firm, PDVSA, are among the toughest of various oil-related measures under discussion at the White House. The U.S. measures under discussion are similar to those that were imposed against Iran over its nuclear program – which halved Iran’s oil exports and prevented top crude buyers from paying for Iranian oil. Sanctions on dollar transactions could be more punitive than an import ban because they would make it much more difficult for any refiner or trader to buy Venezuelan oil – not just customers in the United States. The impact of sanctions on PDVSA would ripple across oil markets, forcing refiners to buy alternative supplies. The U.S. could use crude from its Strategic Petroleum Reserve (SPR) to blunt the impact of any short-term supply shortage. The threat of sanctions against Venezuela was a key reason for talks this week between PDVSA and Rosneft, Russia’s leading state-owned oil firm, which is already under U.S. sanctions. The negotiations in Moscow, reported by Reuters earlier this week, focused on a proposed swap of Rosneft’s collateral stake in Citgo for a host of other Venezuelan oil assets – a move to avoid legal complications. Other options under consideration by Washington include putting more Venezuelan officials and PDVSA executives on its sanctions list. Phillips 66 – the third largest buyer of Venezuelan crude in the United States this year – said on Thursday that the administration should “carefully consider” sanctions that would affect U.S. refiners and not prevent the sale of Venezuelan crude elsewhere. Chet Thompson, chief executive of trade group American Fuel & Petrochemical Manufacturers (AFPM), has been calling and writing White House officials, urging they consider something other than a Venezuelan oil import ban.